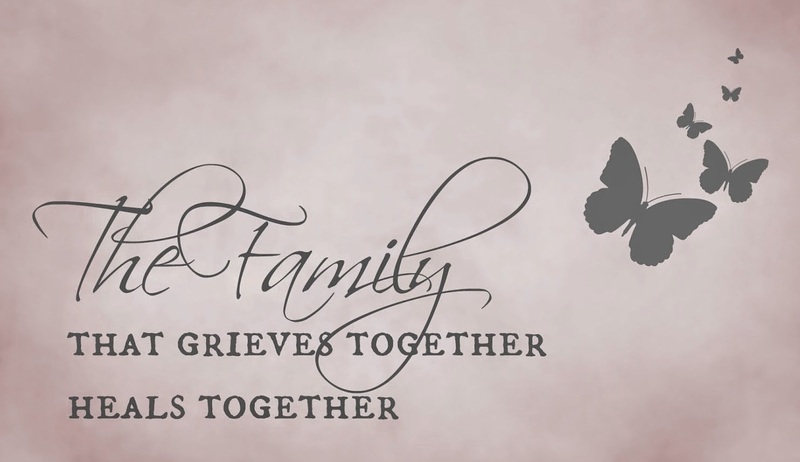 Grief is a journey that everyone comes across after the loss of a loved one. It's very easy to become overwhelmed while you try and work through the grieving process, so it's very important to make sure you care for yourself. Here's some tips to help you along the journey, to help make it somewhat easier. No one should travel this path alone. Everyone needs the care and support of others. Look to your friends and family, church, and professional counselors for help. You may even seek assistance from your local hospice or community grief center for advice. There's no point in trying to run away from the grief. In order to fully heal you need to experience the pain and sorrow, so that you're able to move past it. Death is a part of life that happens daily, so you're not the first to go through it. Discover how others have dealt with a loss. This will help aid you in your healing process, and remind you that you're not alone. Read books on grieving and attend support groups if needed. Grief shouldn't stay hidden within you. The best way to deal and work through it, is to let it out. Scream, cry, yell if you have to. Express your feelings via music, poetry, art, blogging/journaling. No matter how you express your grief, expressing your feelings is the only true way to honor it and begin to work through it. It can be exhausting when it comes go grieving. It eats up a fair amount of energy to feel so intensely. Allow yourself the time that's needed for your regular everyday activities, and try not to overwork yourself. Make sure to rest when it's needed, as you don't want to overwhelm yourself. Throwing yourself into work or some other activity that you enjoy, can help keep you focused and offer a distraction from your grief. If the activity is meaningful, it could also help raise your spirits. Don't be afraid to have a little fun... sharing a laugh with someone doesn't mean that you're dishonoring the memory of your loved one. Laughter is the best medicine... so it may help to surround yourself with children and animals. Grieving wont last forever. One of my favorite sayings... "Faith is not the absence of fear, but the willingness to go on when fear is present". Have hope and keep the faith that you will heal and be whole again.